Hewlett Packard - 407235-B21 407235-B21 HP Proliant BL465C G1 1P AMD Opteron 2218 DC 2.6GHz 2GB RAM SATA SAS HS 2X Gigabit Ethernet ILO Blade Server. New Bulk Pack. Hewlett Packard - 438818-B21 438818-B21 HP Proliant BL685C G1 2X Opteron DC 8220 2.8GHZ 4GB RAM SAS SATA HS Gigabit Ethernet Ilo Blade System. New Bulk Pack. Hewlett Packard - 356820-B21 356820-B21 HP Proliant DL585 G2 2X Amd 848 Opteron 2.2GHz 2GB RAM Ultra160 SCSI CD ROM FDD Gigabit Ethernet 4u Rack Server. New Bulk Pack. Hewlett Packard - 405661-B21 405661-B21 HP Proliant BL685C G1 2P Opteron 8218 DC 2.6GHz 4GB RAM SAS SATA HS Gigabit Ethernet ILO Blade System. New Bulk Pack. IBM - 796982U 796982U IBM Eserver 326m 1x AMD Opteron 252 2.6GHz 1GB RAM 1x80GB HDD Cd ROM Gigabit Ethernet 1u Rack Server. New Bulk Pack. Hewlett Packard - 454906-B21 454906-B21 HP Proliant BL685C G1 2p Opteron 8222 Dc 3.0GHZ 4GB Ram SAS SATA Hot Swap Gigabit Ethernet Blade System. New Retail Factory Sealed With Full Manufacturer Warranty. Hewlett Packard - 391112-001 391112-001 HP Proliant DL385 G1 1X DC Opteron 275 2.2GHz 1GB RAM Ultra320 SCSI 24X CD ROM Gigabit Ethernet Ilo 2u Rack Server. New Bulk Pack. Hewlett Packard - 539818-B21 539818-B21 HP Proliant BL685C G6 2x AMD Opteron 8431 HC 2.4GHz 6MB 8GB Ram SAS SATA Gigabit Ethernet Raid Controller Blade Server. New Bulk Pack. Hewlett Packard - 438816-001 438816-001 HP Proliant Dl385 G2 2p Amd Opteron 2220 Dc 2.8GHz 4GB RAM SAS SATA Hs Combo 2 X Gigabit Ethernet Ilo High Performance 2u Rack Server. New Bulk Pack. Hewlett Packard - 538278-001 538278-001 HP Proliant Dl165 G6 1x AMD Opteron 6-Core 2427 2.2GHz 4GB RAM 2x Gigabit Ethernet 2-Way 1u Rack Server. New Bulk Pack. Hewlett Packard - 407613-001 407613-001 HP Proliant Dl385 G1 1p Opteron 285 Dc 2.6GHz 1GB RAM Ultra320 SCSI 24x Cd-rom 2 X Gigabit Ethernet Ilo 2u Rack Server. New Bulk Pack. Hewlett Packard - 655086-B21 655086-B21 HP Proliant Bl465c G7 1x Opteron 16-Core 6276 2.30GHz 8GB RAM ATI Es1000 2x10 Gigabit Ethernet 2-Way Blade Server. New Bulk Pack. Hewlett Packard - 407658-001 407658-001 HP Proliant Dl585 2p Amd Opteron 885 Dc 2.6GHz 2GB RAM Ultra160 SCSI 24x Cd-rom FDD Gigabit Ethernet Ilo 4u Rack Server. New Bulk Pack. IBM - 796975U 796975U IBM Eserver 326m 1x AMD Opteron Dual Core 280 2.4GHz 1GB RAM 24x Cd ROM Gigabit Ethernet 1u Rack Server. New Bulk Pack. Hewlett Packard - 539815-B21 539815-B21 HP Proliant BL685C G6 Blade 2 X AMD Opteron 8435 Hc 2.6GHZ 6MB 8GB SAS SATA Gigabit Ethernet Raid Controller Blade Server. New Bulk Pack. Hewlett Packard - 397841-001 397841-001 HP Proliant Dl585 G1 2p Amd Opteron 880 Dc 2.4GHz 2GB Ram Ultra160 SCSI 24x Cd-rom Gigabit Ethernet Ilo 2 X 870 Watt Ps 4u Rack Server. New Bulk Pack. Hewlett Packard - 445153-001 445153-001 HP Proliant DL165 G5 1P AMD Opteron 2352 2.1GHz 2GB Ram 1 X 160GB NHP SATA HD Gigabit Ethernet Ilo HP Embedded Controller 1u Rack. New Retail Factory Sealed With Full Manufacturer Warranty. Hewlett Packard - 397296-001 397296-001 HP Prolaint Dl585 2p AMD 854 Opteron 2.8GHZ 2GB RAM Ultra160 SCSI 24x Cd-rom FDD Gigabit Ethernet 4u Rack Server. New Bulk Pack. Hewlett Packard - 383357-001 383357-001 HP Proliant Dl585 2 X AMD 875 Opteron Dual-core 2.2GHz 2GB Ram HDD None Ultra160 SCSI 24x Cd-rom FDD Gigabit Ethernet 4u Rack Server. New Bulk Pack. Hewlett Packard - 397842-001 397842-001 HP Proliant Dl585 G1 2p AMD 880 Dc Opteron 2.4GHz 4gb Ram Ultra3 SCSI 24x Cd-ROM Gigabit Ethernet Ilo 4u Rack. New Bulk Pack. Hewlett Packard - 507554-001 507554-001 HP Proliant DL165 G5 1x AMD Opteron 2374HE 2.2GHZ 2GB Ram NHP SATA Ob 1x160GB SATA HDD Gigabit Ethernet Ilo Embedded 1u Rack Server. New Bulk Pack. Hewlett Packard - 505638-B21 505638-B21 HP Proliant BL495C G5 1x AMD Opteron Qc 2378 2.4GHz 4GB Ram SATA 2 X Gigabit Ethernet 2 Way Blade Server. New Bulk Pack. Hewlett Packard - 445161-001 445161-001 HP Proliant DL165 G5 1p AMD 2356 Opteron 2.3GHZ 4GB Ram 1 X 160GB NHP SATA HDD Gigabit Ethernet Ilo Hp Embedded Controller 1u Rack Server. New Bulk Pack. 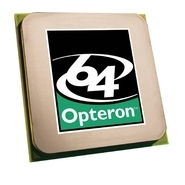 Hewlett Packard - 655087-B21 655087-B21 HP Proliant Bl465c G7 Blade Server 1 X Amd Opteron 6238 2.6GHz. New Bulk Pack. 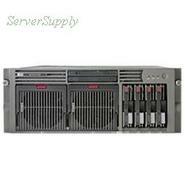 Hewlett Packard - 696173-S01 696173-S01 HP ProLiant BL465c G8 Blade Server 2 x AMD Opteron 6220 3GHz. New Bulk Pack. Hewlett Packard - 634972-B21 634972-B21 HP Proliant Bl465c G8 1x AMD Opteron 16 Core 6272 2.1GHz 16GB RAM Matrox G200 2x10 Gigabit Ethernet 2 Way Blade Server. New Retail Factory Sealed With Full Manufacturer Warranty. Hewlett Packard - 655085-B21 655085-B21 HP Proliant Bl465c G7 1x Opteron 16 Core 6272 2.1GHz 8GB RAM ATI Es1000 2x10 Gigabit Ethernet 2 Way Blade Server. New Bulk Pack. Hewlett Packard - 383359-001 383359-001 HP Proliant Dl585 2p AMD Opteron Dc 2.2GHZ 4GB Ram Ultra320 SCSI Cd-ROM Gigabit Ethernet 4u Rack Server. New Bulk Pack. Hewlett Packard - 634977-B21 634977-B21 HP Proliant Bl465c G8 1x AMD Opteron 12 Core 6238 2.6GHz 16GB RAM Matrox G200 2x10 Gigabit Ethernet 2 Way Blade Server. New Bulk Pack. Hewlett Packard - 397299-001 397299-001 HP Proliant Dl585 G1 2p AMD 854 Opteron 2.8GHz 4GB Ram 24x Cd-ROM FDD Gigabit Ethernet 4u Rack Server. New Bulk Pack. Hewlett Packard - 573087-001 573087-001 HP Proliant DL385 G7 X64 2 X AMD Opteron Processor Model 6174 Twelve Core 2.2GHZ 16GB DDR3 1333BUS Ram SAS SATA 2 X NC382I 2 X Multifunction Gigabit Ethernet 2U Rack Server. New Bulk Pack. Hewlett Packard - 710723-001 710723-001 HP Proliant Dl385p G8 Entry Model 1x Amd Opteron 8 Core 6320 2.8GHz 4gb Ram 8sff Sas Sata Ssd Hdd Bays Matrox G200 Smart Array P420i Zm Raid 0 1 Ethernet 1gb 4 Port 331flr Adapter. New Bulk Pack. 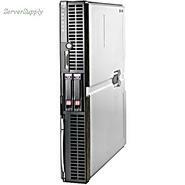 Hewlett Packard - 663064-S01 663064-S01 HP ProLiant BL465c G7 Blade Server 2 x AMD Opteron 6220 3GHz. New Bulk Pack. Hewlett Packard - 573090-001 573090-001 HP Proliant DL385 G7 He 1x AMD Opteron Processor Model 6128HE Eight core 2.0GHz 4GB DDR3 SDRAM SAS SATA 2 X HP NC382I Gigabit Ethernet 2U Rack Server. New Retail Factory Sealed With Full Manufacturer Warranty. Hewlett Packard - 573089-001 573089-001 HP Proliant DL385 G7 Entry 1x AMD Opteron Processor Model 6128 Eight Core 2.0GHz 4GB DDR3 SDRAM SAS SATA 2 X Nc382i Gigabit Ethernet 2U Rack Server. New Retail Factory Sealed With Full Manufacturer Warranty. Hewlett Packard - 585335-001 585335-001 HP Proliant DL385 G7 Base 1x AMD Opteron Processor Model 6136 Eight Core 2.4GHz 8gb DDR3 SDRAM SAS SATA 2 X NC382I Gigabit Ethernet 2U Rack Server. New Bulk Pack. Hewlett Packard - 704163-S01 704163-S01 HP Proliant Dl585 G7 4x Amd Opteron 8 Core 6320 2.8GHz 64GB Ddr3 Ram 4x Gigabit Ethernet 4u Rack Server. New Bulk Pack. Hewlett Packard - 380125-001 380125-001 HP proliant Dl585 2 X AMD 852 Opteron 2.6GHZ 4GB Ram HDD None Ultra160 SCSI 24x Cd rom Gigabit Ethernet 4u Rack Server. New Bulk Pack. Hewlett Packard - 632985-B21 632985-B21 HP Proliant BL465C G7 1 X AMD Opteron 12 Core 6174 2.2GHZ 8GB Ram DDR3 SDRAM SAS SATA 2 X 10 Gigabit Ethernet 2 Way Blade Server. New Bulk Pack. Hewlett Packard - 518867-B21 518867-B21 HP Proliant Bl465c G7 1x AMD Opteron 6128 HE 2.0GHz 8GB DDR3 SDRAM SAS SATA 2 X 10 Gigabit Ethernet 2 Way Blade Server. New Bulk Pack. Hewlett Packard - 500099-001 HP/COMPAQ - PROLIANT DL385 G5P - HIGH PERFORMANCE - 2P AMD OPTERON 2384 QC 2.7GHZ 4GB RAM SAS HS DVD-RW 2 X GIGABIT ETHERNET 2U RACK SERVER (500099-001). REFURBISHED. IN STOCK. SAME DAY SHIP. Hewlett Packard - 408664-B21 408664-B21 HP Proliant BL25P G2 1 X AMD Opteron Dual Core 2214HE 2.2GHE 2GB Ram HDD None 2 X Gigabit Ethernet Blade Server. New Bulk Pack. Hewlett Packard - 518854-B21 518854-B21 HP Proliant BL465C G7 1x AMD Opteron 6136 2.4GHZ 8GB Ram DDR3 SDRAM SAS SATA 2x10 Gigabit Ethernet 2 Way Blade Server. New Bulk Pack. Hewlett Packard - 583108-001 583108-001 HP Proliant Dl585 G7 4x AMD Opteron 6172 Processor Twelve core 2.10ghz 32GB DDR3 SDRA SAS SATA Dvd Drive Gigabit Ethernet 4u Rack Server. New Bulk Pack. Hewlett Packard - 413928-001 413928-001 HP Proliant Dl585 G2 2 X AMD Opteron 8216 DC 2.4GHz 2GB RAM SAS SATA HS Cd Rw DVD Gigabit Ethernet 4u Rack Server. New Bulk Pack. Hewlett Packard - 518851-B21 518851-B21 HP Proliant BL465C G7 1x AMD Opteron 6172 2.1GHZ 8GB Ram DDR3 SDRAM SAS SATA 2 X 10 Gigabit Ethernet 2 Way Blade Server. New Bulk Pack. Hewlett Packard - 605869-005 605869-005 HP Proliant Dl385 G7 S-buy 1x AMD Opteron Processor 6134 Eight Core 2.3GHz 4GB DDR3 SDRAM SAS SATA Dvd-rw 2 X HP NC382I Gigabit Ethernet 2U Rack Server. New Retail Factory Sealed With Full Manufacturer Warranty. Hewlett Packard - 708686-001 708686-001 HP Proliant Dl585 G7 2x Amd Opteron 12 Core 6344 2.6GHZ 32GB DDR3 Ram DVD Drive Gigabit Ethernet 4u Rack Server. New Bulk Pack. 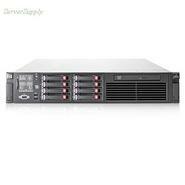 Hewlett Packard - 657312-S01 657312-S01 HP ProLiant DL385 G7 2U Rack Server 2 x AMD Opteron 6234 2.4GHz. New Bulk Pack. Hewlett Packard - 518859-B21 518859-B21 HP Proliant BL465C G7 1x AMD Opteron 6174 2.2GHZ 8GN Ram DDR3 SDRAM SAS SATA 2 X 10 Gigabit Ethernet 2 Way Blade Server. New Bulk Pack. Hewlett Packard - 632982-B21 632982-B21 HP Proliant BL465C G7 1 X AMD Opteron 12 Core 6176 2.3GHZ 8GB Ram DDR3 SDRAM SAS SATA 2 X 10 Gigabit Ethernet 2 Way Blade Server. New Bulk Pack. 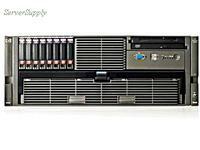 Hewlett Packard - 657313-S01 657313-S01 HP ProLiant DL385 G7 2U Rack Server 2 x AMD Opteron 6272 2.1GHz. New Bulk Pack. Hewlett Packard - 633964-001 633964-001 HP Proliant Dl585 4x Amd Opteron 6180 Se 2.5GHz 64GB Ram Serial Attached SCSI 2 4x Gigabit Ethernet 4x 1200watt Ps Raid 0156105060 4u Rack Server. New Bulk Pack. Hewlett Packard - 411361-001 411361-001 HP Proliant Dl365 G1 2x Amd Opteron 2218 2.6GHz 2GB RAM CD RW DVD Gigabit Ethernet 1u Rackmount Server. New Bulk Pack. Hewlett Packard - 539842-001 539842-001 HP Proliant Dl585 G6 4 X Opteron Hc 2.8GHZ 16GB Ram Serial Attached SCSI Raid Controller Gigabit Ethernet 4u Rack Server. New Bulk Pack. Hewlett Packard - 605870-005 605870-005 HP SMART BUY PROLIANT DL385 G7 AMD OPTERON 6176SE 2.4GHZ 256GB 12. New Retail Factory Sealed With Full Manufacturer Warranty. Hewlett Packard - 583105-001 583105-001 HP Proliant Dl585 G7 2x AMD Opteron 6168 Processor Twelve core 1.90GHZ 32GB DDR3 SDRAM SAS SATA Dvd Drive Gigabit Ethernet 4u Rack Server. New Bulk Pack. Hewlett Packard - 438211-B21 438211-B21 HP Proliant BL25P G2 1x AMD Opteron 2220 Dc 2.8GHz 2GB Ram SAS SATA 2x Gigabit Ethernet 2 Way Blade Server. New Bulk Pack. Hewlett Packard - 439727-001 HP/COMPAQ - PROLIANT DL585 G2 - 4P AMD OPTERON 8220 DC 2.8 GHZ RAM 8GB SAS/SATA HS COMBO 2 X GIGABIT ETHERNET ILO 4U RACK SERVER (439727-001). REFURBISHED. IN STOCK. SHIP SAME DAY. Hewlett Packard - 654841-001 654841-001 HP Proliant Dl385 G7 Performance Server 2x AMD Opteron 16 Core 6282se 2.6GHz 64GB RAM DVD Rw ATI Es1000 4x Gigabit Ethernet 2u Rack Server. New Bulk Pack. Hewlett Packard - 397842-001 HP/COMPAQ - PROLIANT DL585 G1 - 2P AMD 880 DC OPTERON 2.4GHZ 4GB RAM ULTRA3 SCSI 24X CD-ROM GIGABIT ETHERNET ILO 4U RACK(397842-001). NEW. IN STOCK. SHIP SAME DAY. Hewlett Packard - 448183-001 HP/COMPAQ - PROLIANT DL585 G2 - 4P OPTERON 8222 SE 3.0GHZ 8GB RAM SAS HS COMBO 2 X GIGABIT ETHERNET ILO 4U RACK SERVER (448183-001). REFURBISHED. IN STOCK. SHIP SAME DAY. Hewlett Packard - 653745-001 653745-001 HP Proliant Dl585 G7 4x AMD 16 Core Opteron 6282 Se 2.6GHz Processor 128GB DDR3 SDRAM SATA 300 SAS-2.0 4 X Gigabit Ethernet 4u Rack Server. New Bulk Pack. Hewlett Packard - 653747-001 653747-001 HP Proliant Dl585 G7 4x AMD 16 Core Opteron 6272 2.1GHz Processor 64GB DDR3 SDRAM SATA 300 SAS 2.0 4 X Gigabit Ethernet 4u Rack Server. New Bulk Pack. Hewlett Packard - 632993-B21 632993-B21 HP Proliant BL685C G7 4P AMD Opteron 6176 2.3GHz 64GB Ram Smart Array P410I With 1GB Fbwc Serial ATA 300 SAS 2.0 2 X NC551I Ethernet Controller 4 Ports X 10 Gigabit 4 Way Blade Server. New Bulk Pack. Hewlett Packard - 704160-001 704160-001 HP Proliant Dl585 G7 4x Amd Opteron 16 Core 6386es 2.8GHz 128GB Ddr3 Sdram 4x Gigabit Ethernet 4x 1200w Ps 4u Rack Server. New Bulk Pack.